When Should You Start Your Ironman Triathlon Training? This time of year, most long distance triathletes finally jump into some kind of structured swimming, cycling and running protocol, or even bite the bullet and hire a coach or purchase a training plan to start into their Ironman training protocol. But is this really the time of year to start your Ironman triathlon training? Are you jumping in too late if you get started in January, or are you being hasty and just ensuring you’ll be “burnt out” by the time your race rolls around? Take myself, for example: I’m signed up for Ironman Canada this August. Having raced eight other Ironman events, and not having “let my fitness go” during the off-season, I know that I have a solid base. I also know from coaching myself and other athletes that for a fit, experienced athlete, a 12-16 week focused build to an Ironman allows for good long course fitness without burnout. Prior to that focused build, it helps tremendously to have an additional 8 weeks of consistent swimming, cycling and running under the belt. Counting back from August, this means that the beginning of June will be my focused build to the race, and the beginning of April I’ll launch into more formal triathlon training. With that perspective, it suddenly seems a bit ludicrous and excessive to be spending January, February and March sitting on my indoor trainer for 4 hour rides, slogging through the snow (or worse yet, hopping on the treadmill) for chilly, injury-prone 2 hour runs, or staring at the black line at the bottom of the pool (or shivering at the edge of the pool convincing myself to jump in). So if you’re an experienced triathlete with a mid or late summer Ironman, you’d best be served this time of year by keeping yourself fresh, keeping yourself from burnout, and primarily doing cross-training and weight-training until early Spring. But if your Ironman is early summer or spring, then it’s prudent to hop on the training bandwagon now. In contrast, if you’re an Ironman newbie, you’ll want to still have that focused 12-16 week build-up to your event, but you’ll want longer than 8 weeks of foundation training prior to that point. I actually recommend 16-20 weeks of basic training before your focused build in intensity to the big day, and for that reason, a rookie Ironman athlete should absolutely begin training early in the year, spending the winter building that foundation and developing the necessary skills for swimming, cycling and running efficiency and economy. If you need more direction, feel free to check out my two Ironman training plans: The Triathlon Dominator and Tri-Ripped. 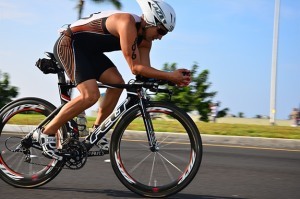 Both plans have options for beginner, intermediate or advanced Ironman triathletes. TrainingPeaks contributor Ben Greenfield, M.S. PE, NSCA-CPT, CSCS, is recognized as one of the top fitness, triathlon, nutrition and metabolism experts in the nation. For more information on coaching and training with Ben,'check out his blog/podcasts,'follow him on Twitter, or'visit his Facebook page.